We are a coveted firm engaged in manufacturing and supplying Inconel Flanges. These inconel flanges are widely used as a backing to support different structures. Owing to their excellent tensile strength, longer service life and alluring finish, offered products are highly demanded in the market. We offer a wide range of Inconel Weld Neck Flanges that are mostly used for closing the end of a pipe. To ensure the compliance of the product with set industry standards, these are tested on different grounds by the quality analyzers. And we also offer customized products as per our esteemed clients’ required specifications. We offer Inconel 718 Socket Weld Flanges that are mostly used for closing the end of a pipe. We offer our clients an assortment of Inconel Blind Flanges that are widely used in many industries. Our clients can avail these in various class, grade and range as per their need at market leading prices. We offer Inconel Blind Flanges that are mostly used for closing the end of a pipe. These products are those flanges which have no bores and they are commonly used to block or close the pipes or valves. 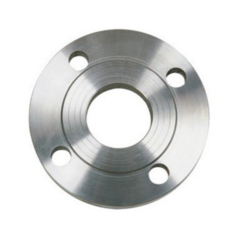 These blind flanges (plate type) can be used to close the ends of pipes, valves, pressure vessel openings and other channels, where one end needs to be blanked. Quality being the sole aim, we offer an exceptional array of Super Duplex Stainless Steel Flange that are acclaimed for high quality and durable standards. They are sturdy in patterns and are able to cater diverse requirements of the clients. 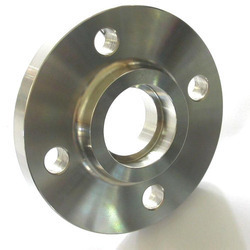 Super Duplex Stainless Steel Flange is durable in nature and has high comprehensive strength. 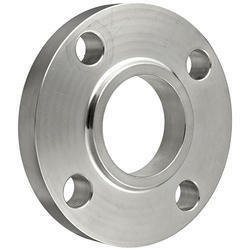 We are suppliers of Incoloy 825 Flange made up of high quality material. 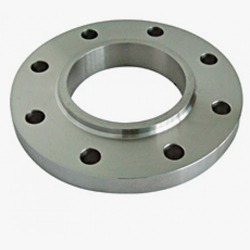 We are suppliers of Inconel 600 Flange.